Peapod Ponderings: Caution, Excited Beader! 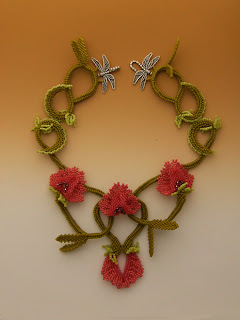 I wanted to tone it with the Cubic RAW necklace I made with some lovely picasso finish rondelles from Beads and Babble. I love the selection of beads in this shop, and just received an order of the new Czech spike beads to try Helena Tang's Points Boheme earrings. You can tell I am an Etsy Addict! I've seen the art of $huib Petersen and I can say: it makes an impression,mostly the floral necklaces-perfectionism in every inch. 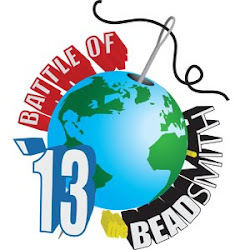 As for NEEDBeads-there are only a few things I like.Some of them are simply not wearable-overembellished a little,but concerning techniques and colors also fantastic. Your CRAW complete is going to be very beautiful. Thanks so much for the shout out, Catherine!! I don't blame you for being excited about seeing Huib - his work is amazing!!! :) And, I hope you all have the best time ever in Scotland!!! Huge hugs, lady! Thank you very much for testing my new bracelet, too! Oh wow! 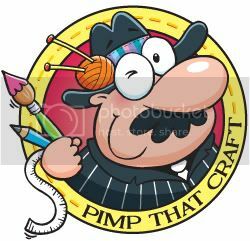 Just saw the items Huib has with him for display on Stitchncraft Beads's Facebook! Amazing pieces, how will I ever concentrate on the project in hand?